After a century of stagnation, chemical and ultra-capacitor batteries have recently made some strides forward, and more are on the horizon. However, the most promising way of storing energy for the future might come from a more unlikely source, and one that far predates any battery: the flywheel. In fact, humanity has yet to seize the true potential of the flywheel. When spun up to very high speeds, a flywheel becomes a reservoir for a massive amount of kinetic energy, which can be stored or drawn back out at will. 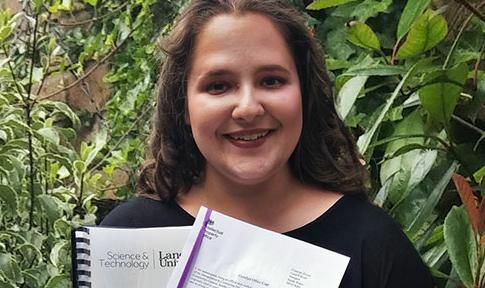 Now, an engineering undergraduate Abigail Carson from Lancaster University has developed a new energy storage solution that could be a paradigm shift in harnessing renewable energy in future. “The global energy crisis is the biggest and most urgent problem that needs addressing. The Flywheel Energy Store can be used for a vast range of applications – most significantly in providing energy security and independence for everyone globally, but also including eliminating waste in power networks, pumping water to villages and allowing for cleaner cooking and heating in developing countries, instant charging of electric vehicles, and off-grid energy storage,” says Miss Carson. Her super fast design for a Flywheel Energy Store (FES) could also be used for storage of electricity generated by renewable sources like wind turbines or solar panels. According to Carson's simulations and calculations, the power rating of the Flywheel Energy Store can be changed, and has the potential to reach the MegaWatt range. While the initial aim was for the flywheel to rotate at 100,000 rpm, Carson's simulations show that the design can easily rotate at 144,000 rpm without any further adjustments. In comparison, most existing flywheel-based energy storage designs spin at around 60,000 rpm. It retains energy kinetically in a levitated floating mass. The rotor, which can be made from composites such as carbon fibre, is permanently levitated as opposed to electromagnetically. It does not require any maintenance, user input or additional control mechanisms as it is permanently levitated as opposed to electromagnetically. A smart telemetry set (monitoring equipment) will be included, as reported by Lancaster University. Miss Carson says the FES can be used for a vast range of applications, helping provide energy security and independence, as well as eliminating waste in power networks, and allow cleaner cooking and heating in developing countries. FES design is a unit around the size of a football, which is ideal for domestic uses. However, the potential can be scaled up to industrial applications through a stacking approach – using many units together on the same network to provide a bigger energy store. “The lifespan of the FES is around 30 years, which is much longer than that for batteries. Batteries cannot withstand power transfer pattern variations – they suffer very badly from charging and discharging abuse. This is not a problem for the FES, which is virtually immune to this sort of abuse,” says Miss Carson.